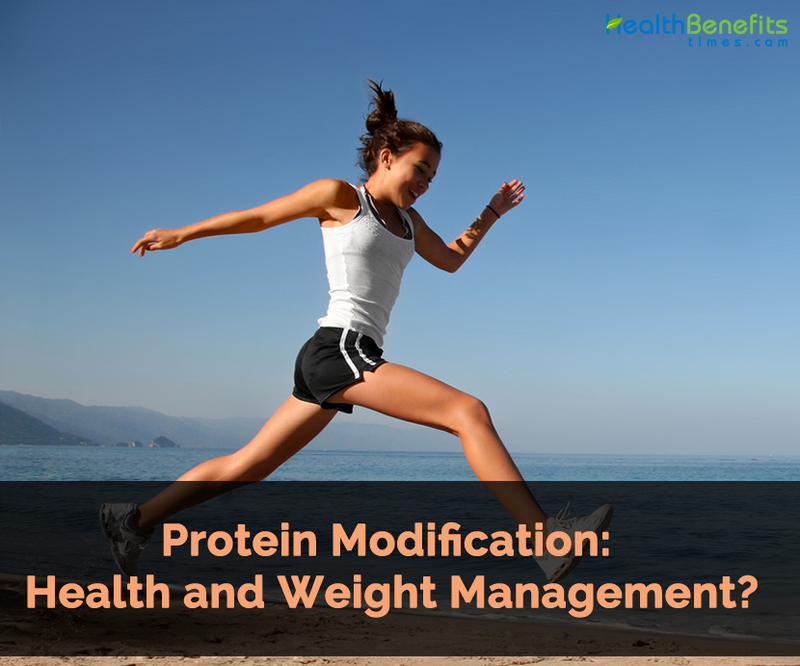 You are at:Home»Health & Beauty»How Does Protein Modification Promote Health and Weight Management? A high-protein diet does not increase the rate of weight loss or the likelihood of maintaining weight loss. However, for people on calorie-restricted diets, keeping protein intake at least at 15% of calories can prevent or minimize the drop in energy expenditure typically seen when calories are reduced, because protein is thermic (it generates heat). More important, the type of dietary protein consumed can influence health. Adopting a vegetarian or modified vegetarian diet can have beneficial effects on both weight and health. Plant-based diets increase fiber, decrease saturated fat and cholesterol, and help people obtain recommended servings of fruits, vegetables, and whole grains. Fruits, vegetables, and grains contain more than 100 vitamins, minerals, and other nutrients with cancer-fighting properties and other health advantages. In 1995, the Dietary Guidelines for Americans acknowledged for the first time that vegetarian diets could meet nutritional recommendations. Because plant proteins have lower fat content, they may be lower in calories. This combination of a low-fat, high-fiber diet can help in weight management. Animal proteins, in contrast, contain more saturated fat and cholesterol, which are known to increase the risk of cardiovascular disease and certain cancers. Overall mortality, as well as morbidity from cardiovascular disease, diabetes, hypertension, and possibly colorectal cancer, is lower in vegetarians. Obesity rates are also lower among vegetarians. A plant-based diet is not necessarily a vegetarian diet. Many people on plant-based diets continue to use meat products and/or fish but in smaller quantities. Vegans exclude all animal products from their diets, and lacto-ovo vegetarians eat eggs and dairy products but not meat, poultry, or fish. Clients who are interested in pursuing a plant- based diet might want to start by cutting back on meat, fish, and poultry and gradually adopt a lacto-ovo-vegetarian eating plan. Unless a person is very motivated by health or ethical concerns, beginning with a vegan diet is challenging. Vegetarians need to be careful to obtain enough protein, iron, calcium, vitamin D, and vitamin B12. Perhaps the best part of a vegetarian diet (as well as the Mediterranean diet) is its reliance on legumes for protein and other nutrients. Legumes grow in plant pods and include dried beans, peas, pinto beans, lentils, and soybeans. They are a meat-alternative source of protein but do not contain all of the essential amino acids. Although they lack vitamins C, A, and B12, they are excellent sources of starch, fiber, calcium, iron, and folate. Legumes contain negligible fat. 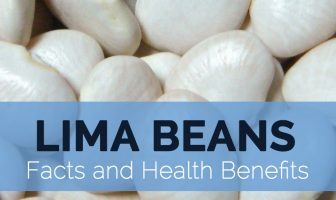 A half cup serving of most legumes provides about 110 kcal, 8 g protein, 20 g carbohydrate, 7 g fiber, 20–60 mg calcium, 1.8–2 mg iron, and 130 mg folate. Legumes are inexpensive and can be purchased dry (and then soaked and cooked before being used in recipes) or, as a time saver, already cooked in cans. (Canned legumes are usually high in sodium.) Legumes are easily substituted for meat in chili, enchiladas, and many casseroles. Soybeans can be used to prepare many different kinds of foods. Tofu, texturized soy protein, and other soy-derived products can be incorporated into traditional recipes with a little guidance. Soy products reduce blood cholesterol and lower the risk of heart disease and have also been linked to lower cancer rates, particularly among Asians, who consume 20 to 80 times more soy than Americans. The health benefits of soy foods are conferred by several phytochemicals, including an important group of compounds known as isoflavones. Many researchers believe that the combination of soy protein and isoflavones is what provides protection against cancer and cardiovascular disease. Soy isoflavones have also been implicated in the prevention and treatment of osteoporosis. Soy seems to both prevent the resorption of bone, so less bone is lost, and to promote bone formation, so bone density is maintained as we age. Health concerns about soy have focused on the estrogen-like effects of isoflavones—could isoflavones promote estrogen- related cancers? Fortunately, an intake of 40–80 mg/day of isoflavones—the recommended dose—does not increase the risk of cancer. Fish (both finfish and shellfish) are an excellent source of high-quality protein. Three ounces of most fish provides between 14 and 24 g of protein. Earlier in this chapter you learned that two omega-3 polyunsaturated fatty acids found in fish—eicosapentaenoic acid (EPA) and docosahexaenoic acid (DHA)—have beneficial effects on blood lipids. DHA is also associated with positive neurodevelopmental outcomes in children, such as improved cognition and language. However, fish contain mercury in varying amounts, which raises health concerns. Mercury is a heavy metal that occurs naturally in the environment but that is also a byproduct of industrial pollution, released into the atmosphere where it finds its way into lakes, streams, and the ocean. Bacteria in water convert mercury to methylmercury, which is then absorbed by fish. Larger fish that live longer accumulate the most. Human tissues absorb methylmercury from the fish that we eat. Health concerns focus on mercury’s impact on neurological development in children, cognitive function in adults, and cardiovascular disease risk. Most research finds the benefits of DHA from fish to outweigh the risks of methylmercury. Still, prudent consumption of fish, particularly by children and women considering becoming pregnant or who are pregnant, is recommended by the FDA and the Environmental Protection Agency (EPA). The EPA and FDA advise pregnant women to avoid fish high in mercury and consume no more than one serving per week (about 6 ounces) of fish with intermediate levels of mercury. Approximately 12 ounces per week of fish with lower levels of mercury is considered safe for pregnant women and others.